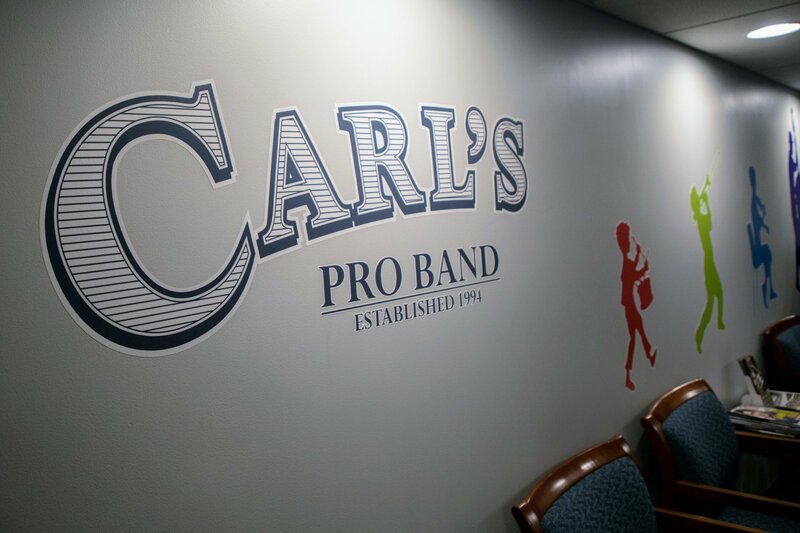 We are proud to offer music lessons with some of Central IL's top music educators! scheduling, pricing and availability of lessons. 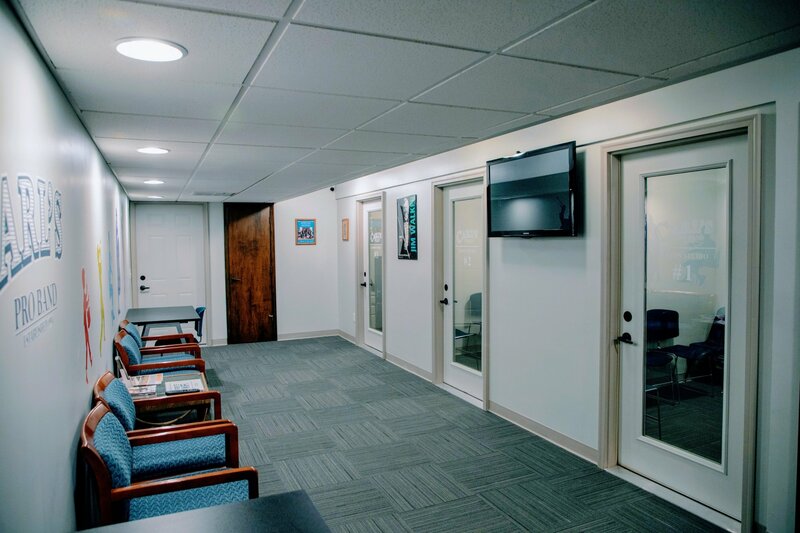 out the newest lesson studio in Bloomington-Normal and see what we have to offer! Corey Beirne has been performing and teaching music in Central Illinois since 2001. 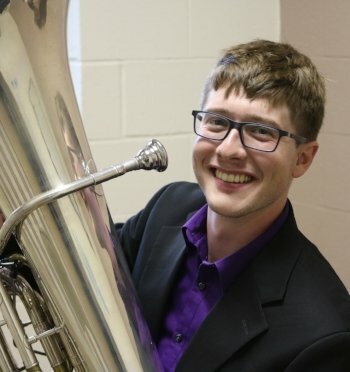 He has Bachelor’s and Master’s degrees in Music Education from Illinois State University and studied tuba with Ed Livingston and Dave Zerkel. Currently teaching elementary general music in McLean County Unit 5 schools, Corey has also taught high school and junior high band for 11 years. He is also an instructor with the inaugural 2018 Normal Marching Band. Several of his private brass students have earned ILMEA All District and State honors. As a performer, Corey has been active in the local classical and jazz scene for almost 20 years. 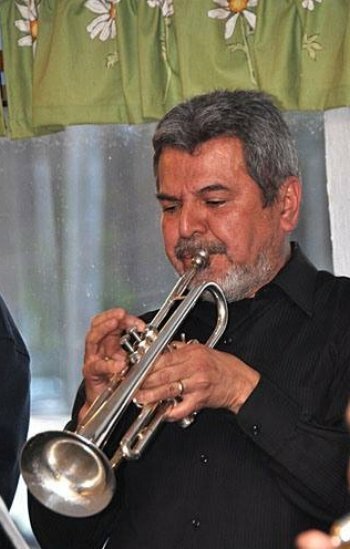 He has performed with groups such as the Heartland Jazz Orchestra, Praireland Dixie Band, and as a featured soloist with the Brass Band of Central Illinois. He has also been fortunate enough to perform with such notable musicians as the Preservation Hall Jazz band, Kurt Elling, and Chuchito Valdez. Mr. Beirne welcomes students of all ages and ability levels. 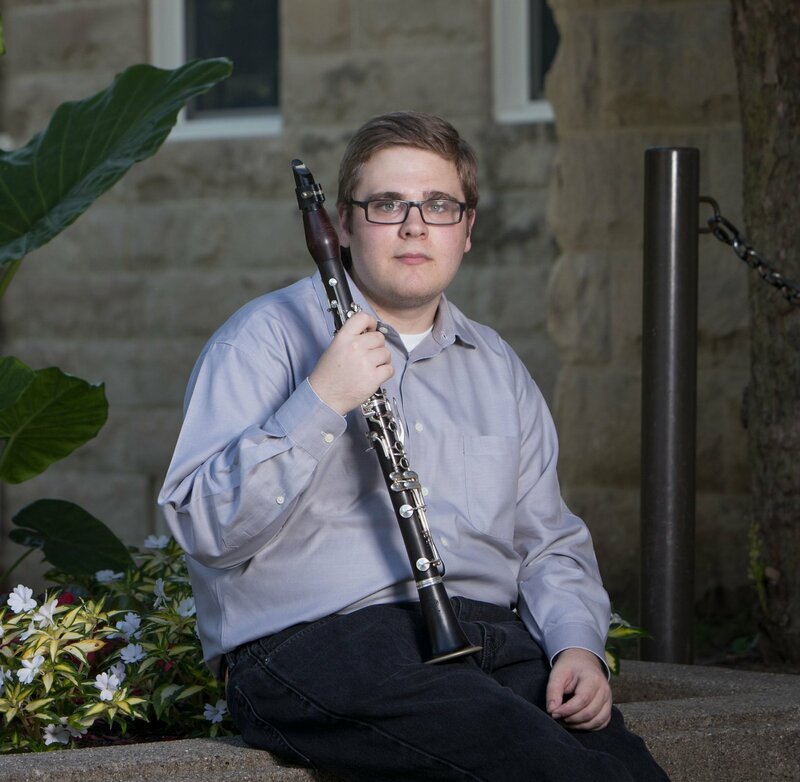 Tyler DeVault is a senior Music Education Major at Illinois State University where he studies clarinet with Dr. David Gresham, and previously studied with Dr. Anne Dervin. He currently plays in the Illinois State University Wind Symphony under Dr. Tony Marinello. Previous conductors include Dr. Glenn Block, ISU Symphony Orchestra; Dr. Joseph Manfredo, ISU Wind Symphony; and Dr. Martin Seggelke, ISU Symphonic Winds. As part of his clinical experiences through ISU, Tyler has experience teaching sectionals on primary and secondary instruments. As a native of Bloomington, Tyler attended Olympia High School in Stanford where he participated in marching band and concert band under Kyle Brubaker, and choir under Debbie Aurelius-Muir. Tyler currently serves as the Director of Youth Music at Normal First United Methodist Church, through the Illinois Great Rivers Conference Internship Program, where he directs an intergenerational handbell ensemble and instrumental ensemble. He also is experienced in choir directing with the Youth Choir and Chancel Choir at Normal FUMC. Davis Hale is a saxophonist and educator in the Bloomington-Normal area. He has previously taught lessons and masterclasses in the Louisville, Kentucky area, and performs regularly as a soloist and as the tenor chair of the T^3 Saxophone Quartet. Davis has won first place in the Kentucky Music Teacher’s Association Chamber Music competition with T^3 and has won first place in the KMTA Young Artist competition on two occasions. He has traveled to Gap, France to participate in the European Saxophone University, and has performed at the Navy Band Saxophone Symposium as a soloist and with T^3. T^3 has also performed live on WUOL as winners of the Macauley Chamber Music Competition, and Davis has performed as a soloist with the University of Louisville and Youth Performing Arts School Symphony Orchestras, performing Henri Tomasi’s Concerto and Tomasi’s Ballade. 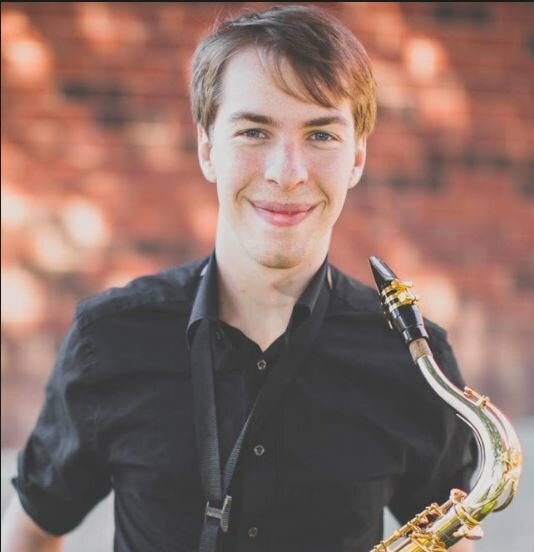 Davis is currently pursuing a Master’s in Music Performance from Illinois State University, where he acts as the Teaching Assistant for the Saxophone Studio. His duties include teaching music minors as well as coaching saxophone quartets. His primary teachers include Paul Nolen, Adam McCord, Mike Tracy, and Ron Jones, and he has pursued additional studies with Otis Murphy, Claude Delangle, and others. Davis welcomes students of all ages and interests! Christine Hansen is an active freelance performer and instructor in Central Illinois. 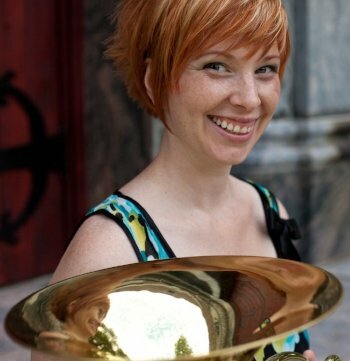 She holds positions in the Millikin-Decatur Symphony Orchestra and the Illinois Valley Symphony Orchestra, is the Solo Tenor Horn of the Chicago Brass Band, and frequently performs with the Heartland Festival Orchestra. An avid supporter of chamber music, Christine is a member of the Twin Cities Brass Quintet and the Lyric Winds Chamber Ensemble. As a soloist, she has been featured with the Brass Band of Central Illinois, most recently joining the ensemble at the 2016 Illinois State Fair, and has had the privilege to perform the Britten Serenade for Tenor, Horn, and Strings alongside Dr. Justin Vickers and the ISU Chamber Orchestra at the Red Note New Music Festival. Christine has previously played with the Peoria Symphony Orchestra, the Opera Illinois Orchestra, the Eau Claire Chamber Orchestra, and the ISU Faculty Brass Quintet, and has performed in Japan, Canada, and at the Lincoln Center in New York City. 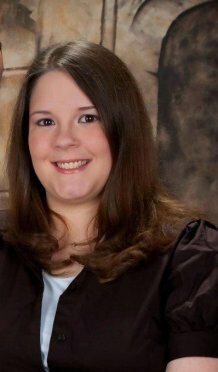 Christine earned her BM and MM in Horn Performance from Illinois State University, and has studied under Joe Neisler and Douglas Hill. She currently serves as the Lead Academic Advisor and Assistant to the Director for the Illinois State University School of Music. Christine welcomes students of all ages and abilities. David Hoffman, a distinguished trumpeter, pianist, composer and conductor presents his own unique and imaginative music. For 13 years David traveled the world performing as part of the Ray Charles Orchestra. He is currently a founding member of the Tribute to Ray Charles Orchestra. He advocates strongly for the arts and music being essential in the educational system, and for the civil rights of all individuals. As an activist David served as President of Local 26 of the American Federation of Musicians from 2005-2016. He currently serves on the Board of Directors for the Peoria Chapter of the American Civil Liberties Union. 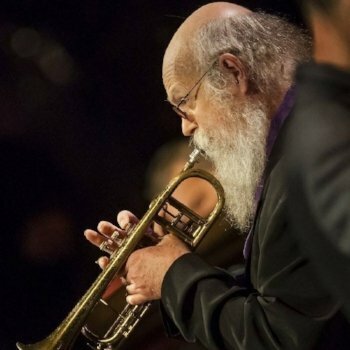 David currently teaches Jazz Music courses at Bradley University, provides jazz trumpet and piano lessons and conducts jazz ensembles for Knox College and is the music director and resident composer for the Heartland Jazz Orchestra. David works with and advocates for area youth as a cofounder of Gentle Steps Foundation. David Hoffman indeed lives “Calmness of Spirit” in this very busy world. 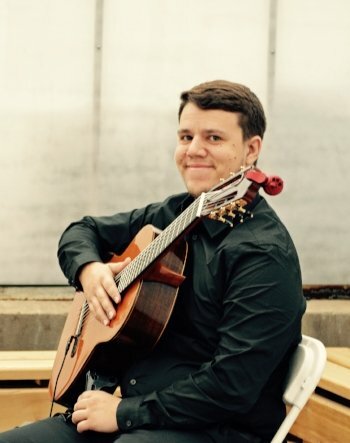 Dylan Price is an active teacher in the central Illinois area, and graduated from Illinois State University with a BM in Classical Guitar Performance. Over the last decade, he has performed in many groups in the Midwest, and has mastered many guitar styles. Dylan is passionate about teaching, and advocates a strong music theory knowledge as well as composition and improvisation skills. He was president of the Classical Guitar Society at Illinois State University, and started a private guitar lesson program through the School of Music. Dylan has taught through many organizations including Bloomington Rock School, and Illinois State University’s Community School for the Arts. He has studied under Angelo Favis and Raphaella Smits, and plans to pursue a Master of Music in Classical Guitar Performance. Primarily self-taught, Luciano (Lou) Rosado picked-up the trumpet three months before his fifteenth birthday in Chicago, Illinois. A few months later, he was playing in rhythm and blues bands. It was his only job in high school. He then used gig money to take private lessons at The Chicago Conservatory of Music from esteemed Chicago player/teacher Joseph Summerhill for the next three years. 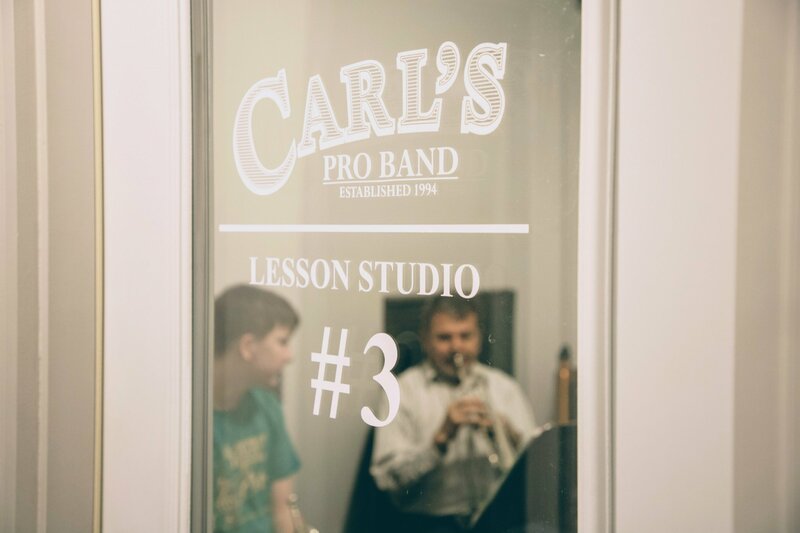 A graduate of ISU’s English and Communication Departments, he has been teaching privately for more than 30 years, specializing in embouchure problems, improvisation, and high-note production. Tim Schachtschneider has been an active performer and educator in Central Illinois since 2007. Currently, Tim works for Illinois State University as the School of Music’s Auditorium Technical Director. He received his B.S. in Music Business, and M.M. in Tuba performance from Illinois State University, primarily studying under Dr. Andy Rummel. Tim performs frequently with the Peoria Symphony Orchestra, Heartland Festival Orchestra, Millikin-Decatur Symphony, and the Chicago Brass Band. As a soloist, Tim has appeared with the Brass Band of Central Illinois and has been a semi-finalist or finalist at several competitions, most recently winning third place in the Tuba Artist Division of the 2016 Leonard Falcone International Tuba and Euphonium Competition. Tim has also been a finalist at several military band auditions including the Air Force band of the Golden West in San Francisco. Tim is a big fan of ska and reggae, and plays trombone in a few bands in Chicago and Bloomington. 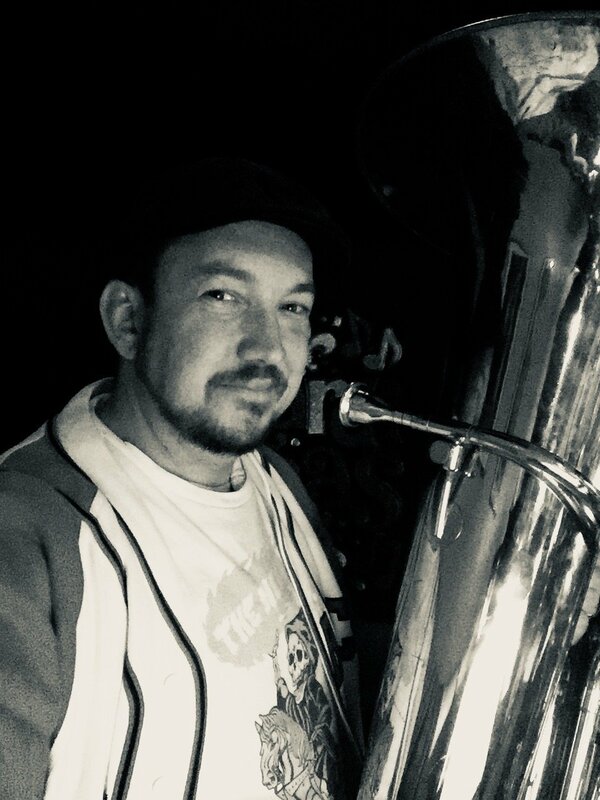 Tim believes music is an essential part of life and looks forward to meeting and working with students that have taken interest in low brass. Emily Stengel, a flutist, graduated from Illinois State University with her undergraduate degree in music education and a Master of Music degree in flute performance. At Illinois State, she studied under flute professor Dr. Kimberly McCoul Risinger and Wind Symphony conductor Dr. Stephen Steele. Originating from Galesburg, Illinois, Emily had her own flute and piano studio while still in high school. While in college, she taught group lab piano at Metcalf school and taught privately from her home in Bloomington. 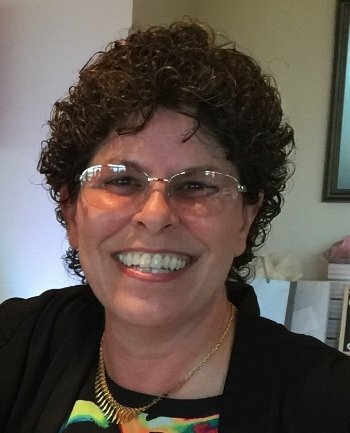 She has also taught 4th-6th grade general music. She stays active in the community by playing with groups such as the Bloomington Community Band and participates in pit orchestras for the Community Theater. She believes that teaching people the proper way to spend their time practicing is crucial in development. Emily looks forward to teaching everyone, no matter the experience or the age. Mrs. Walczyk graduated from Libertyville High School, a northern suburb of Chicago. Up until that time, she took private lessons with Casper Bogosian out of Glenview, Illinois. In 1995, she completed her studies at Illinois State University where she earned her Bachelor of Music (B.S. Music), Bachelor of Music Education (B.M.E. ), and Master of Music degrees (M.M. with Honors). While a member of the ISU Jazz Combo, Walczyk received outstanding musicianship awards from the Aquinas College and Elmhurst College Jazz Festivals. Mrs. Walczyk studied applied saxophone at ISU with Professor James Boitos, and her conducting studies were with Dr. Steven Steele. Since 1995, Mrs. Walczyk has been with Decatur Public Schools District 61. Her first 18 years were spent at Eisenhower High School (and various elementary assignments) as Director of Instrumental Music which included Marching Band, Pep Band, Concert Band, Symphonic Band, Jazz Band & Combo, Orchestra, and various small ensembles – all of which earned top honors at many competitions, including the Smoky Mountain Music Festival, Gatlinburg, TN. Other teaching responsibilities included multiple levels of music theory, beginning and second year band at the grade school level, and 6th Grade All-City Honors Band. Her current assignment includes Beginning Band and Second Year Band at four grade schools throughout the district, and she is Chair of the annual Elementary Band Festival. While the saxophone is Mrs. Walczyk’s main instrument, she is confident and qualified to teach clarinet & flute lessons as well (up to advanced level).